How many lives do we create in one lifetime? In her latest collection of innovative, shape-shifting essays, Brenda Miller evolves through childhood, adolescence, and young adulthood to enter the wry maturity of middle age. Whether traveling from synagogue to sweat lodge, from the Arizona desert to a communal hot springs in California, she navigates the expectations placed on young girls and women at every turn. She finds guidance in her four major creeds (Judaism, Home Improvement, the Grateful Dead, and Rescue Dogs), while charting a course toward an authentic life. Each stage demands its own form, its own story, sometimes as a means of survival: "No straight line between here and there, between past and future; instead, many small rifts open between where you stand now and where you are trying to go." 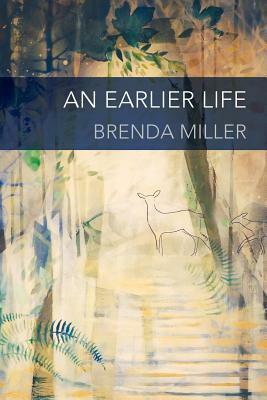 "Further proving herself as the master of the short essay, Brenda Miller's latest collection deep dives into her past, taking a sepia-tinged world and offering it anew in Technicolor. Each essay's a revelation, an untangling, an epiphany whispered in our ears. Listen carefully or you'll miss it: the way our lives expand when we distill them." -B.J. Hollars, author of This is Only a Test. Brenda Miller is the author of four previous essay collections: Who You Will Become, Listening Against the Stone, Blessing of the Animals, and Season of the Body. She also co-authored Tell It Slant: Creating, Refining and Publishing Creative Nonfiction and The Pen and The Bell: Mindful Writing in a Busy World. Her work has received six Pushcart Prizes. She is a Professor of English at Western Washington University, and serves as associate faculty at the Rainier Writers Workshop. She lives in Bellingham, WA, with her dog Abbe and a rotating crew of foster dogs who take up temporary residence.